Right now you can get Double FireBucks Rewards when you shop & purchase Pro-Tech 8 Gloves! Pro-Tech 8 Gloves are loved by all who wear them, so let's tell you more about 'em. If you're looking for a great Structural, Wildland and Extrication glove, then the Fusion would be your best bet. It's one of those all around wonderful gloves packed full of specs and features to make it one that will last a long time in the service. Check out the Fusion here. Official glove of the Firefighter Combat Challenge. It offers enhanced protection, abrasion resistance and durability without sacrificing superior dexterity, comfort and fit that firefighters demand and need. Find the Titan K Structural Gloves here. The X-Plus is the excellent choice for extrication, providing all the protection, yet dexterity you need in an extrication situation. Or you could go with the Pro-Tech 8X for an extrication and rescue glove combination. The B.O.S.S. Extrication Rope Glovesare made to maximize protection and performance. 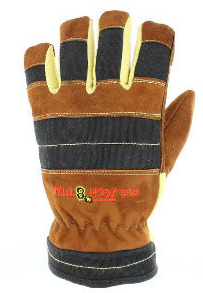 Or there's the 8W Wildland Glovemade of waterproof cowhide leather, that will remain soft and flexible even after drying. Whatever your glove choice and needs may be, enjoy Double FireBucks Rewards* back when you purchase! Shop Pro-Tech 8 Gloves now! Earn 2% for every Dollar you spend at TheFireStore. Every FireBuck is equal to $1.00 and can be used as credit towards any future purchase on TheFireStore!